I found this still on my computer and saw that I have not posted this already. And Christmas is over now again...and we have so, so long to wait for season 6 (hopefully with Quinn), so why not. 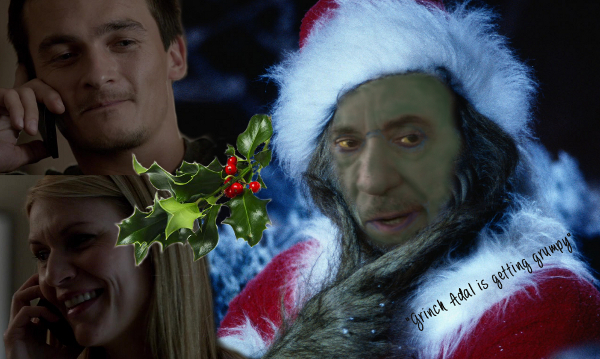 text: "Grinch Adal is getting grumpy"